I want to thank Keryl Raist, author of Sylvianna , for submitting a recently read post. The book she talks about today is The Summoner by Layton Green . What does 87% cocoa dark chocolate and The Summoner, by Layton Green have in common? Both are black, rich, bitter, and exquisitely satisfying if you want something really dark. The Summoner is a mystery wrapped in a paranormal thriller. William Addison walked into a Juju religious ceremony in the bush outside of Harare Zimbabwe, and never came out. Dominic Grey, a member of the American Diplomatic Mission in Zimbabwe has been put in charge of finding him. But, this is Zimbabwe, so he can't just go it alone, Nya Mashumba a shadowy member of Mugabe's Government has been assigned to keep an eye on him. And, to help them thread their way through the maze that is Juju, Professor Viktor Radek. 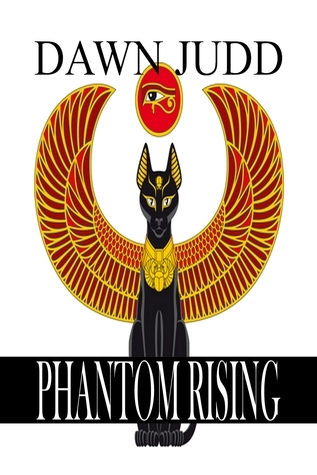 They rapidly find themselves wrapped in a tangle of religion, superstition, violence, and murder. They'll have to learn to trust each other if they're going to solve the mystery, let alone get out alive. The first work in a globe-hopping series whose protagonists investigate the world's most bizarre and dangerous cults, The Summoner is a stylish, haunting novel of mystery and suspense that will linger long after the last page is turned. 335 Pages (95,000 words). Here I am to talk about whatever again today. I seem to get more interest in posts with some of my pictures so I'll upload a few more. I love photography and would love to take more and more picture. Some people like to photograph people, some like scenery and some like abstract. I'm a bit of a mixture. The people part, not so much, but the scenery and abstract - yep! Bring it on! I like the black and white photos - especially with snow. Now that our snow has melted AGAIN, I feel it's okay to post a picture or two with snow. This picture is of our lamp post outside my dad's bar - The Barn. My neighbors horse - I changed the photo to black and white but could hardly tell a difference so I've posted it here in color. A small path not far from my house. The limestone had a beautiful orangy/red tint to it that day. A little further along the path - before our footprints marred the trail. Devil's Tower isn't very far away. Yes - I photoshopped - but not a whole lot. Fall colors are fun! This is taken on my dad's property near his dam. This tree has special meaning to me and my family. Again, it's on our property and stands guard over my mother's grave. Morbid, I know. But, I love my mother and her being buried at home is a good thing. Well! I added one of Devil's Tower - might as well add one of the monument that I live near! This is a panoramic view of one of the "pigtail" bridges in the Black Hills. I spliced this one so if you make it bigger you'll notice some odd color shifts here and there. I'm not the best with my photoshop, but I'm practicing. 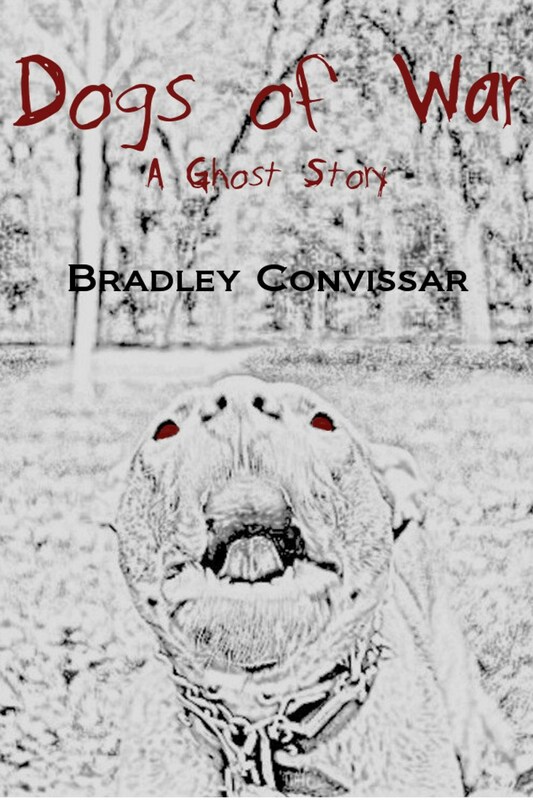 Dog's of War: A Ghost Story is a stand-alone, 25,000 word novella. After divorcing his wife of two years, Gary Lettner thinks he has found the perfect house for himself and Molly, his eight-year-old daschund. But when the throats of the dead begin to cry out in a voice that only Molly can hear, and when evidence of past atrocities committed in his new home begin to surface, Gary finds himself an unlikely participant in a brutal quest for vengeance. I am a 33 year old dentist from NJ with 2 young kids and a diabetic, mostly blind daschund named Friday. I attended college in New Orleans, where I earned my degree in evolutionary biology, and I earned my DMD in lovely Newark, New Jersey four years later. 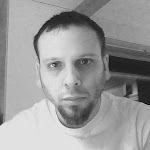 I write mainly horror/thriller/dark fiction, though no zombies and no slashers and no gore for gore's sake.I am the author of the four-volume Pandora's Children short story collection; the first three books are currently available (Volumes 1-3, In The Chair, Too Young To Die and Death Bleeds Into Life, respectively), and the final volume (Book 4: The Wretched Ones) should be available by mid-April. I recently had a short story, Naughty and Nice (a twisted Christmas tale), published in Suspense Magazine. Today's Recently Read post is brought to you by Stacy Juba, author of Twenty-Five Years Ago Today and Sink or Swim . I recently read and enjoyed the new release California Schemin' by Kate George, in which a California vacation sounds like a great idea to Vermonter Bree MacGowan until a dead woman falls into her life, she's abducted from her bed, and her boyfriend disappears completely. It's enough to make a girl wish she'd never heard of California. I previously enjoyed the first mystery novel featuring Bree MacGowan, Moonlighting in Vermont, and it was a treat to read a second book starring the likable Bree. The character has a humorous voice and she is loyal to her friends. Somehow, she always manages to get herself into trouble. Kate George writes in a fast-paced, light style and tone similar to Janet Evanovich. In this latest installment, readers are along for a suspense-filled ride. Why is Bree kidnapped? Who can she trust? Are all of the bad guys equally bad? How will she escape? I read this book in a couple of days and was always reluctant to put it down. Bree lives in Vermont, and having visited Vermont myself, I also liked the rural New England descriptions and imagery. If you enjoy suspenseful mysteries with a bit of romance and light humor, then I would suggest this book. Stacy Juba is the author of the mystery novels Twenty-Five Years Ago Today and Sink or Swim (Mainly Murder Press), as well as the patriotic children’s picture book The Flag Keeper. 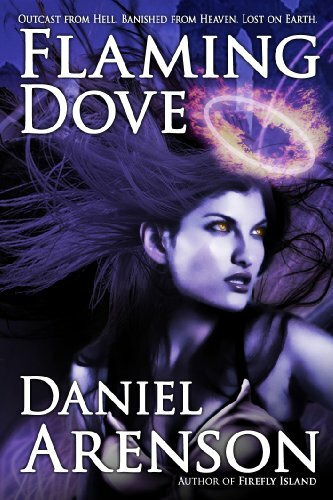 Her young adult paranormal thriller Dark Before Dawn will be released by Mainly Murder Press in January 2012. She is a former journalist with more than a dozen writing awards to her credit. I haven't done a Whatever Wednesday post for ages. I'd say it's about time. But... what do I talk about? It's snowing today. I've lived in this area my whole life and I'd miss the snow if it never came, but I'm ready for spring! At this time of year, snow is quite depressing. Hopefully it won't be here much longer. This is what my tree in the front yard looks like today. It certainly makes for a glum mood. Maybe posting some different pictures will lighten my mood. This is a Monkey Flower we found in Yellowstone, last May. This is the picture I use for my blog background. It was taken last summer. My camera said it was January of 2006, but - It Lies! Nothing says spring quite like tulips with water droplets on them! I feel a theme coming on - flower, fog, flower, fog. This was taken at Yellowstone last May (2010). It was wonderfully creepy and alluring. Where does the red fern grow? In Yellowstone, that's where! This was an especially cool find for us since my daughter had just finished reading Where the Red Fern Grows. And... I have to post one more of Yellowstone. The colors are just so amazing! I have two more pictures I'd like to include for something different. I just love the moss on the huge trees in my dad's front yard. And here is the last one. If you can't be nice - talk to the hand! Broken eyes, a brain that commands falling, these stories are of escape and hope and magic, using the very things that are crushing me. Myron has put a small kettle on the electric stove to boil water. He opens a cabinet and pulls out a tin of tea and a tea strainer. “You like lemon in your cuppa? Sugar? Honey? Milk? Vaht?” Myron asks. “Ach,” Myron sniffs, “a child who never had tea. Vaht a country. I think sugar and milk for you then. As he goes to the refrigerator, Amanda walks to the kitchen entryway. It’s just an open space at the end of the short counter. Myron doesn’t seem to know she’s followed him over and, as he opens the refrigerator door and bends down slightly to take a carton of milk from inside the door, Amanda has a clear view of the inside shelves. Myron snaps up, the carton of milk in his hands. He almost collides with Amanda as he tries to hurriedly shut the refrigerator door. “”Nothing. That is nothing,” he mouths but it comes out dry as if he has a cough in his throat. “Come, ve have some tea, now, and ve talk about things of interest.” He pours hot water into a tea pitcher and drops the strainer inside. He bustles over to get two mugs and brings out a bowl of sugar. “An old man like me, what do I need but tea and a little milk now and then? You’ll see. Vehn you are getting old like me. So many disappointments in life.” He shakes his small, bald head. “You are young. Your disappointments are ahead of you. Come, ve drink tea, ve talk about life’s disappointments, eh?” Myron pours the tea and shoves the sugar bowl over to Amanda. They sit on bar stools at the counter facing the kitchen. Amanda glances warily at the refrigerator. She’s not about to let this go. But she’ll think about another way to find out what’s going on later. She sips at the tea. It’s sweet and milky and a little spicy. She likes it. 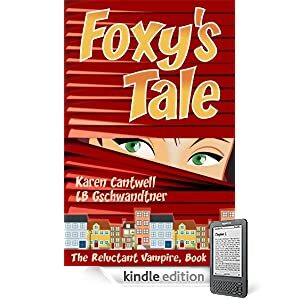 From now until April 25th, Foxy's Tale is available for just .99 cents, so if you’re looking for a light, fun read, give it a try today! Click any of the links through out this post to buy your copy for only 99¢ until April 25th! Brand new copy, signed by author. But atonement doesn't come without a price. She will have to risk everything to find the answers to the mysterious events surrounding her. Has Vyktor come back from the dead to exact his revenge? 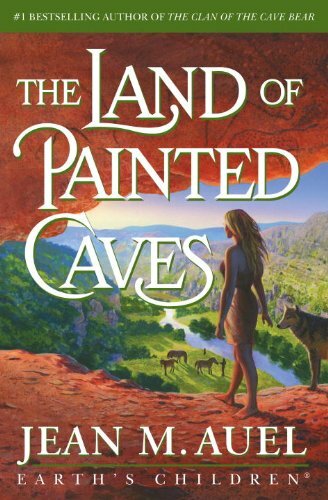 The highly anticipated sixth book of Jean Auel's Earth's Children® series, THE LAND OF PAINTED CAVES, is the culmination fans have been waiting for.